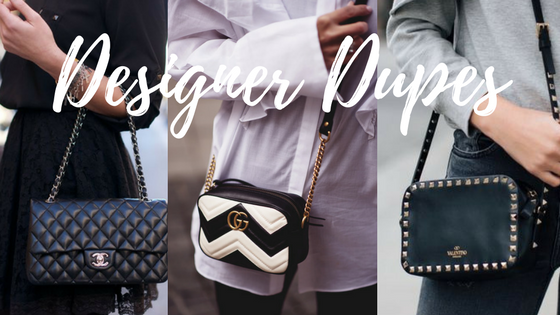 I'm a lover of handbags, I have expensive taste but limited budget so that's where designer dupes come in. You can achieve the designer style without the hefty price tag. Mango and Kurt Geiger have been killing it on the dupe front lately! I've pulled together some of my favourites so you can get the look for less! Our trip to Paris was very spontaneous. My boyfriend and I had been chatting about it for around 2 weeks and ended up booking a week before we went. 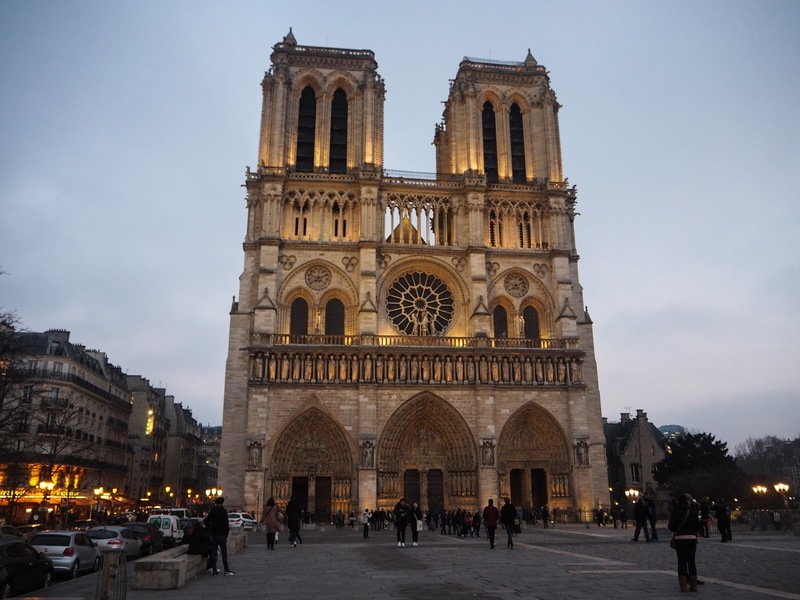 A cheap flight with EasyJet flew us out to Charles de Gaulle Airport, and our trip was a whirlwind to fit in seeing all the sights. 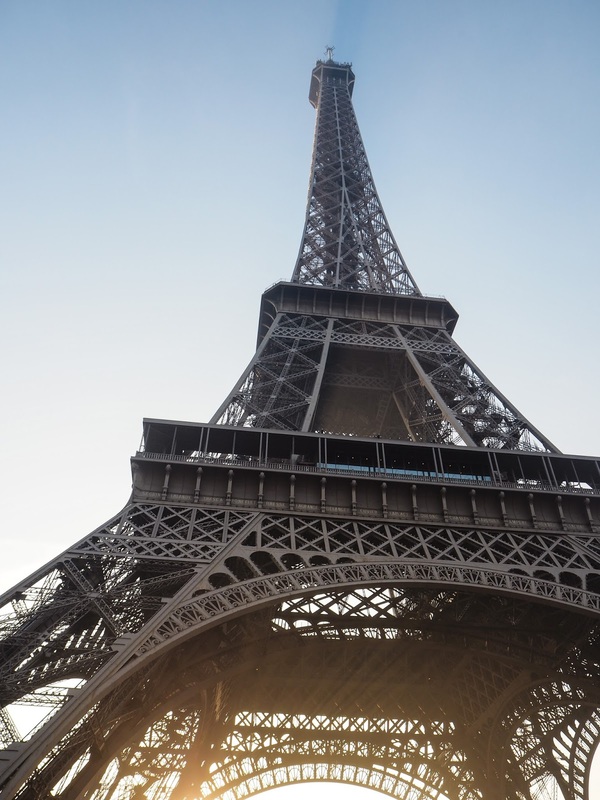 We headed to the Eiffel Tower for 9am on the Monday morning, as it was in January and off peak, there wasn’t a single person queuing. The only downside to coming during off peak times was that the top deck was closed for refurbishment. The lower deck was fully open and still gave a great view. We also returned on the Tuesday night to see the light display, which was well worth waiting for. The 20,000 light bulbs sparkle and shimmer against the black night sky, it looks incredible. Time your visit to arrive just before the clock strikes the hour as this is when they are switched on. 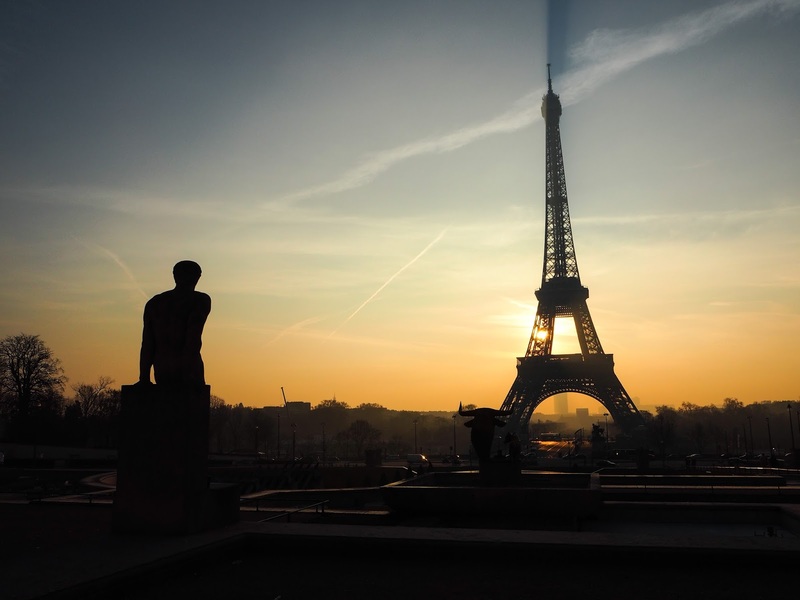 If you want to get a good photo of the Eiffel Tower against the sky, head to Trocadero. There is a viewing platform behind the Palais de Chaillot. 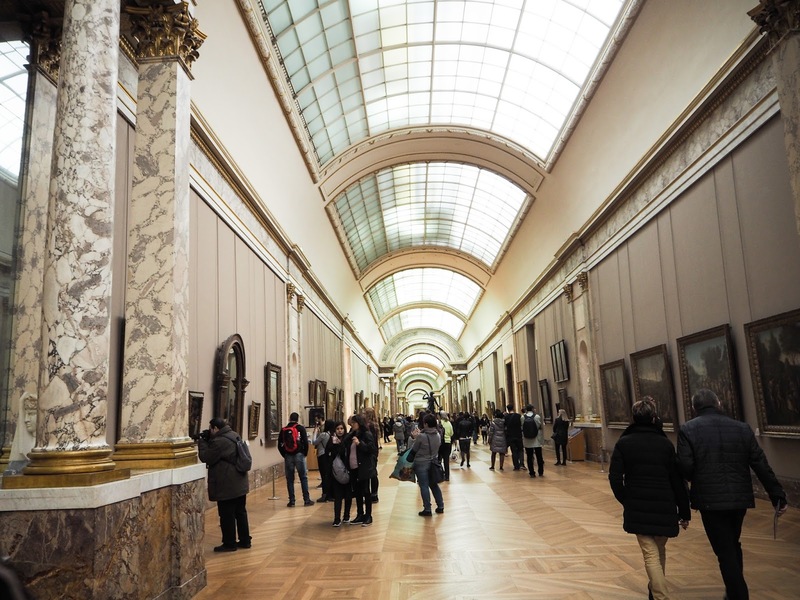 The Louvre is a must for art lovers. If you are under 25 you can get free entry, just bring your passport with you. It’s a huge building, you could spend hours in there, but if you are just after the Mona Lisa, save time and just see her first. I didn’t realise how small the famous painting would be, it’s just a little larger than an A4 piece of paper. You might have to queue or move around other tourists if you’d like a selfie with the infamous woman. If you want to tick the typical tourist photo box, stand on the plinths outside the Louvre, and try and angle your hand in the air, so it looks like you are touching the top of the glass triangle. Yes, I did this, no shame. The ‘love locks’ bridge unfortunately now has plastic rails and the locks have been removed. 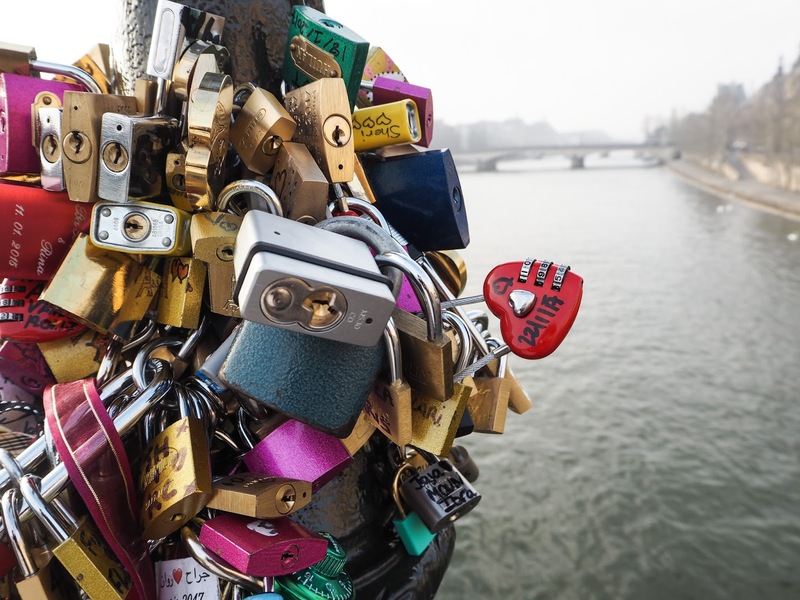 Some resourceful couples have attached their padlocks to lamp posts and bicycle chains instead. It isn’t as impressive as it used to be but, it has a beautiful view down the river. Make your way to the Arc de Triomphe by walking down the tree-lined Champs-Elysees. The monument itself is in the middle of a very busy road, so take the underpass. 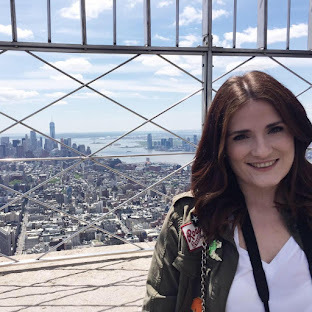 You don’t need to pay to see the monument, but if you want to climb to the top and see the view, you have to queue and get a ticket. 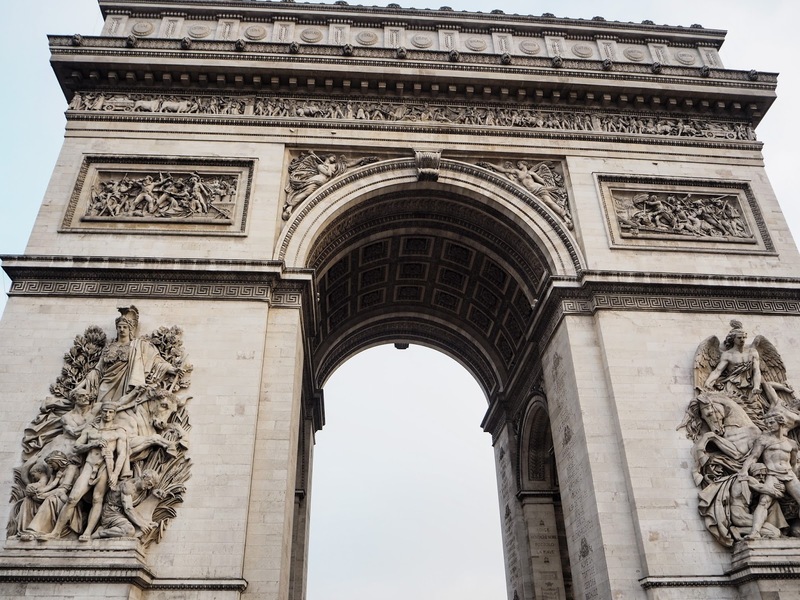 The arch has hundreds of names carved into the stone, those who lost their lives fighting for France. There is also the Memorial Flame, which is the grave of the unknown soldier. It’s a touching monument to those fought for France and a place to take a few minutes to remember. 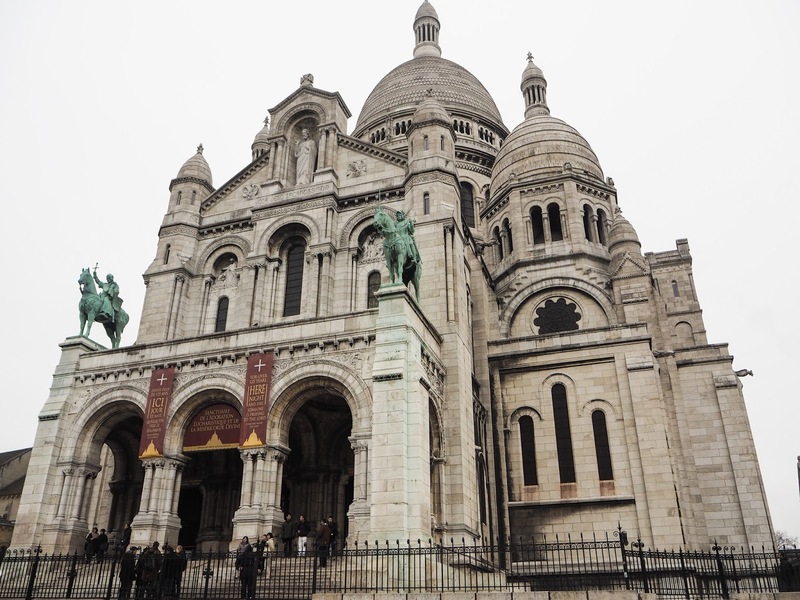 Sacré-Coeur is a basilica in the heart of Pairs. It’s set on the top of a hill, so be warned there are lots of steps. 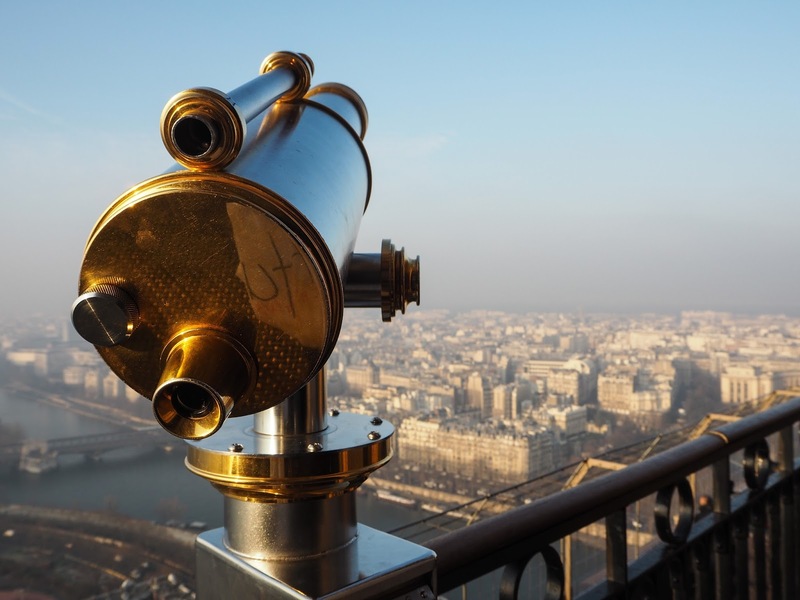 The effort to reach the summit is worth it for the view overlooking Paris. I’m not religious but appreciate the architecture of churches and cathedrals. It’s free to enter and join a service. A word of warning, groups of men try and tie ribbon or string to your finger and demand money for the gift. It’s a shame a religious place has intimating figures in its grounds. It’s a short walk to the main square in Montmartre from the Sacré-Coeur, where the French artists paint and create caricatures. It’s a hive of activity in the summer but we had the pleasure of wandering down quiet streets and enjoying traditional French food at one of the oldest restaurants in Montmartre, La Mere Catherine. This is known as the student area, we met a friend of my boyfriend and enjoyed a few drinks in the little bars in the area. It has a bohemian charm. Another of Paris’ world famous landmarks, I urge you to climb the number of stairs to the top. Yes, you’ll be out of breath and feel so unfit when you get to the top, but the gargoyles are worth it! 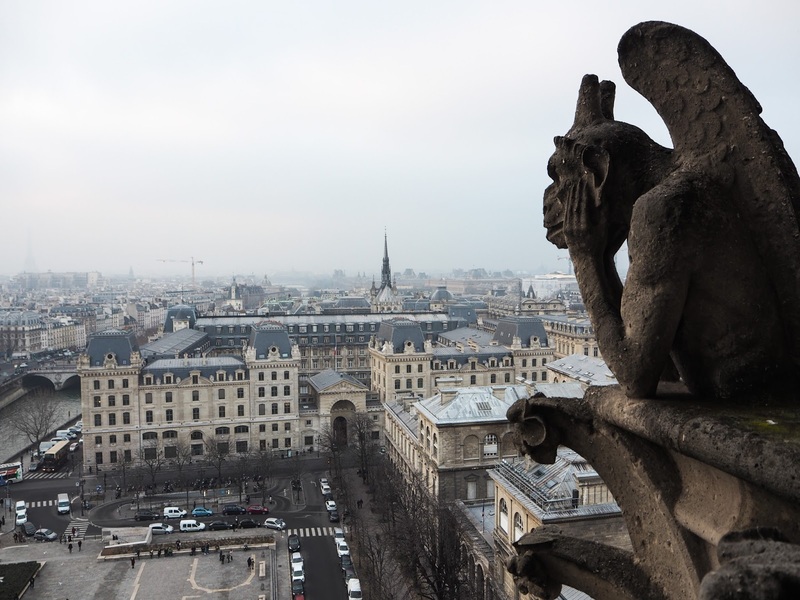 The gothic architecture mixed with the moody skyline makes for incredible photos. This museum houses more recognisable art from Degas, Monet, Manet and Van Gough. I found I was more interested in the art in D’Orsay than the Louvre. Again, you can get in for free if you are under 25, with your passport. For the ultimate shopping experience head to La Galleries Layfette, it’s like the Harrods of France. 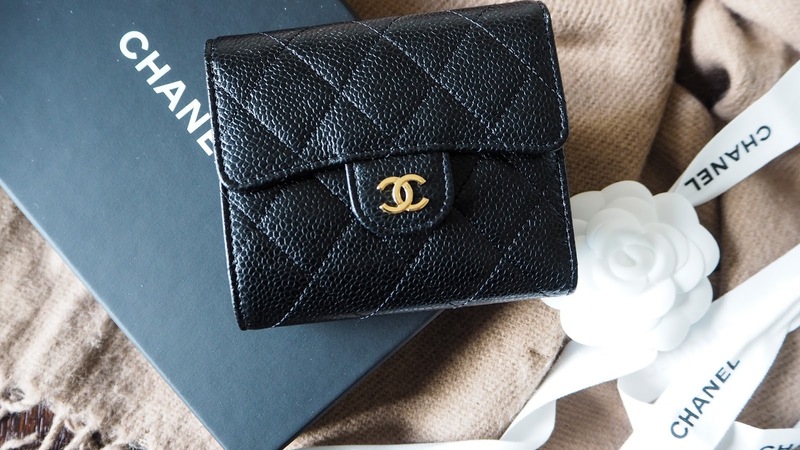 I paid a visit to the Chanel boutique and made my first ever Chanel fashion purchase. I went for a caviar leather purse with the classic burgundy interior. I’m besotted with it! 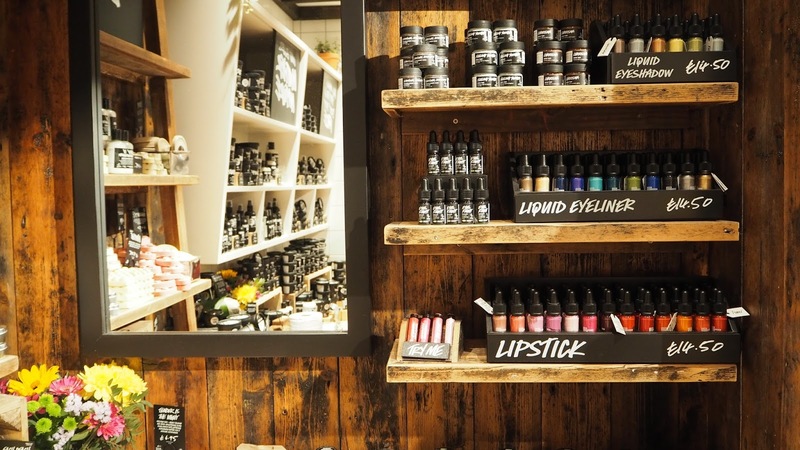 I could have spent hours in their beauty hall. You can’t visit Europe without hunting down the mothership. I was left unattended and got sucked in by minis, opssss! 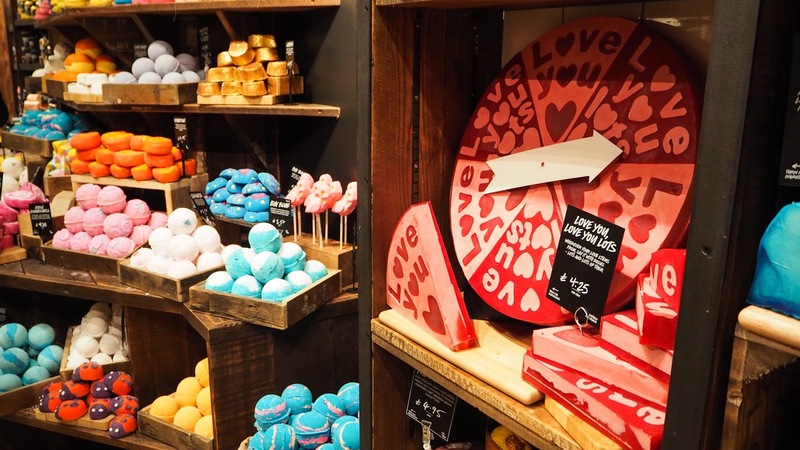 The store on the Champs Elysées is the largest one in Paris, so make the most of the hard to get brands and fill your basket! We’d chosen our hotel because of its artsy interior design. 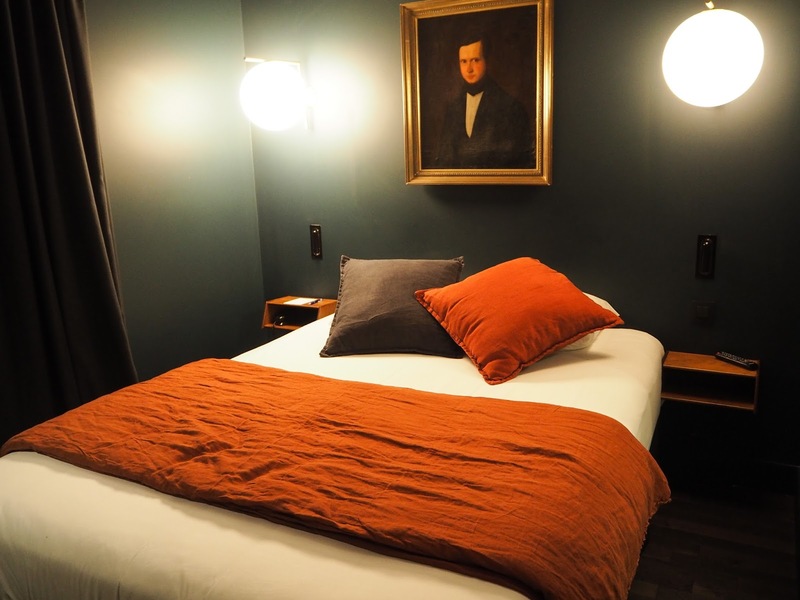 The Coq Hotel was just 2 minutes’ walk from a metro station and a lovely wonderful community vibe. They hosted cinema nights and welcome drinks to help travellers socialise if you wanted to. We bought a 3-day pass to the metro which cost around €25, which I fully recommend as the landmarks and attractions are quite spread out. The train from Charles de Gaulle Airport to the centre was €10, which we paid twice to get there and back. You have to eat your weight in cheese, pastries and baguettes. All three things can be found at Paul, it’s a chain across Paris where you can pick up light bites from. There is also a chain of pastry shops called Brioche Dorée, or which I recommend if you need a sweet pick me up! There are restaurants on every corner so you will never be short of options. My favourite dishes were duck a l’orange, French onion soup and apple tarte. 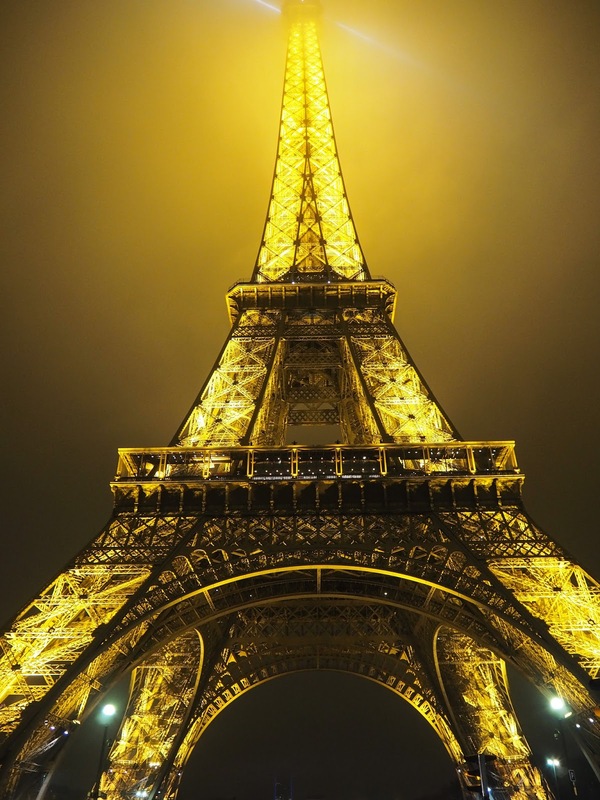 Have you visited Paris before? Where were your favourite spots? We all need to practice self-care, whether you struggle with mental health or not, it’s important to take time for you. Work, family, friends and social media can leave us feeling under the weather and we spend less time on keeping our minds and bodies in the best condition. Self-care is about creating little moments that make you feel relaxed and happy. I thought I’d share my favourite things to do when I’m down or need to press the reset button. I’m guilty of endlessly scrolling through social media platforms for hours, it’s just become a habit. I try and put my phone down and pick up a book instead. I’m currently loving Jo Malone’s biography and Sali Hughes ‘Pretty Iconic’. It’s a great way to relax the mind before bed. Way before the ‘hygge’ trend, I adored candles. 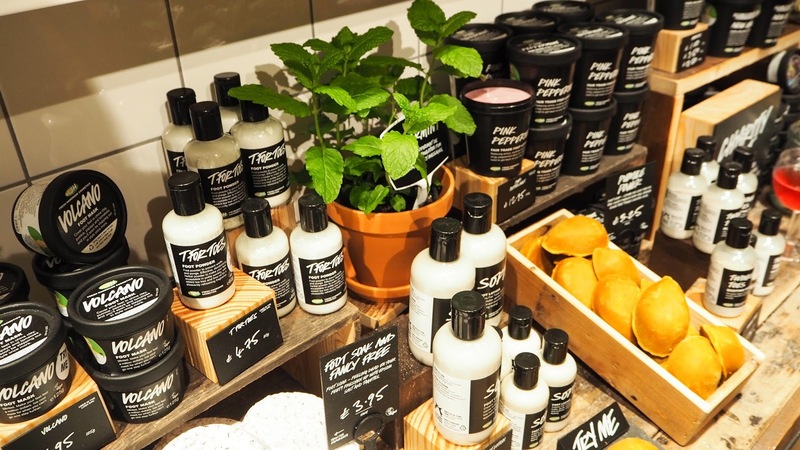 They just create a cosy atmosphere and if you pick scents like lavender and cotton, they can be very relaxing. My current favourite is Yankee Candle’s Soft Blanket, it’s a clean cotton smell, I highly recommend it. We often forget to look after our skin when we are stressed or feeling low. I find a face mask and a good moisturise can make your skin look instantly more away. Elemis and Clarins have products with the most relaxing scents, they feel luxurious too. You can literally wash the bad day way with a bath or shower, I just feel instantly refreshed. 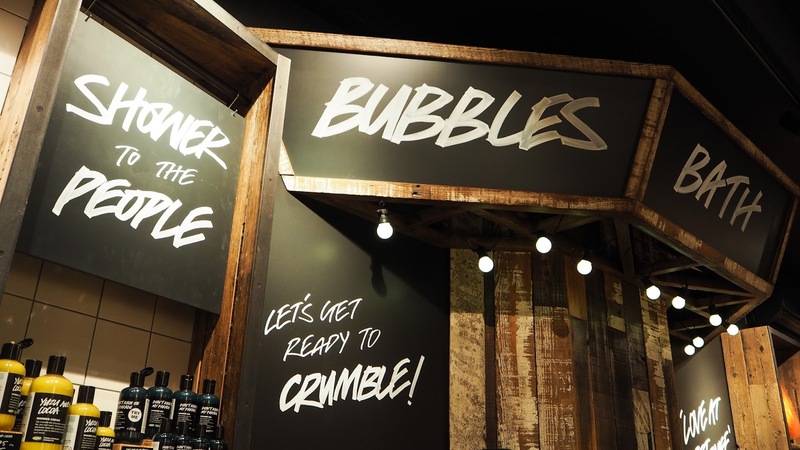 If I opt for a bath, Lush’s Comforter Bubble Bar is my product of choice. 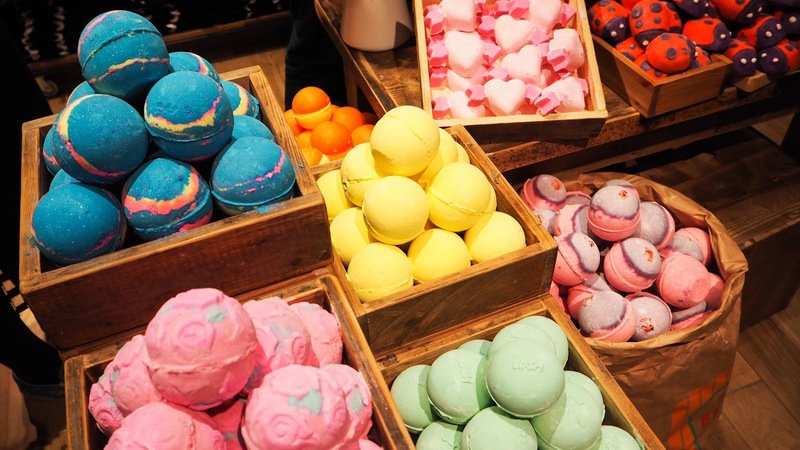 I also love the Blue Skies Bubble Bar and the Butterball Bath Bomb. I’ve been trialling some Hunkemoller products from their Wellness range. The brand create the most beautiful underwear and nightwear, so they know a thing of two about creating cosy and feminine products. I have the HKM Spa Shower Gel and Spa Body Oil, both feel luxurious for the affordable price point. Even a 10 minute walk can blow off the cobwebs and clear your head. I’m not a lover of the gym so this is my way of being active. I always try and pop to a friend’s house for a cuppa if I feel down. Even if I don’t talk about any issues or problems, it’s just nice to be in someone’s company and have a giggle and a chat. Treat yourself to food that soothes your soul, whether that be a hearty meal or some chocolate, savour the taste. I usually make myself a Whittard’s hot chocolate, it’s delicious but also helps me unwind before bed. Grab a pen and paper and just write things down - how you feel, what you are grateful for, plans for your year and goals. I find it really helps transferring my thoughts from my mind to the paper. Gossip Girl is my go to when I want to chill out and enjoy a cheesy TV show. There is nothing better for your body than a good night’s sleep! Try and switch off electrical items off an hour before bed. Grab a book, see point 1. Have an early night and hopefully you’ll feel refreshed in the morning! My stress levels drop instantly when I see a cute cat or dog. Just try it! I'd love to know how you practice self-care, please leave me a comment! I have a weakness for eyeshadow palettes. I love experimenting with colours and trying out new looks. I often select affordable eyeshadow palettes to test their value for money but also to try something new. 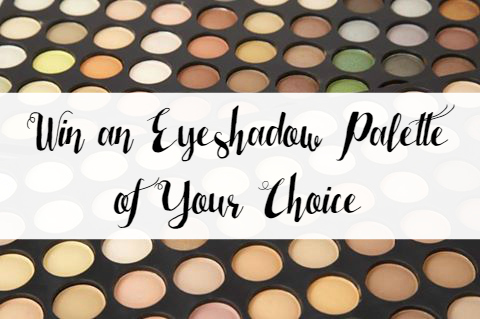 I’ve teamed up with LaRoc Cosmetics to give you the chance to win an eyeshadow palette of your choice from their website. They have a huge selection of shades, textures and colours. Lovers of matte shadows will be excited to know they have an 88 pan palette filled with the most stunning matte colours. 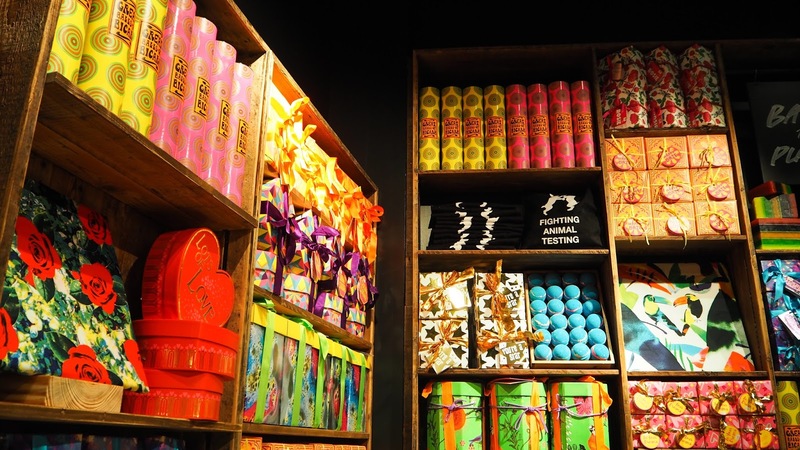 They also have 120 pan palettes that cover all the eyeshadow colours you could think of – perfect for people who love to experiment with colour. They also have a range of smaller, more compact palettes, ideal for travelling. 1 lucky winner will have the chance to win a palette of their choice from LaRoc Cosmetics. The giveaway is open to UK residents only. One winner will be picked at random from the Rafflecopter widget. For your chance to win, see the Rafflecopter entry form below. If you love burgers, steaks, pizzas and cocktails, Coast to Coast is the restaurant for you. The American Grill restaurants are located across the country. I paid a visit to the Chester branch to review their menu and drinks options ahead of Valentine’s Day. They are extending their 2 for 1 Happy Hour times from 5pm till close, in the run up to the most romantic day of the year, available from Saturday 11th to Tuesday 14th February. Perfect for a Valentine’s date! 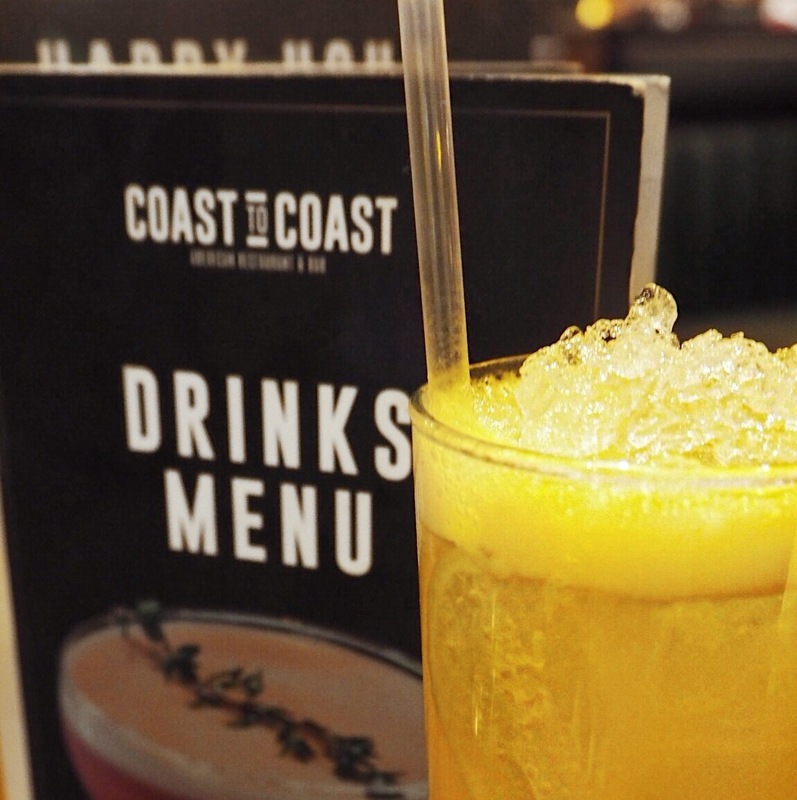 There is an excellent variety of food and drinks on offer. I opted for the Spicy Calamari to start, which had a salt and pepper batter on the squid. My boyfriend Alex, went for the Blue Cheese Chicken Tenders, which came in a large portion and looked delicious. Next up was the main course, I could have selected a number of options on the menu as they all sounded tasty. I went for the Meat Feast Calzone, this was filled with BBQ sauce, pulled beef brisket, pulled pork, diced chorizo and sliced red onion. Alex had the Double Burger, which as you can see was mammoth! The burger contained two 7oz* beef patties piled high with pulled pork, streaky bacon and Monterey Jack cheese, smothered in our signature BBQ sauce and jalapeño cheese sauce. We both thoroughly enjoyed our mains and were already stuffed by this point. Of course, we did have to make room for a spot of dessert! The Oreo Cheesecake was recommended by the lovely waitress so we shared one. By shared I mean, I had 70% and Alex had 30%! Blue Moon beers were Alex’s choice of drink, whereas my drinks choices were cocktails. I took advantage of the 2 for 1 Happy Hour and ordered a Cherry Cola and a Mango Daiquiri, both were delicious! We both had a wonderful time at Coast to Coast in Chester! Thank you to the lovely team for having us! "How much of this stuff do you actually use?!" That's what my mum said as she attempted to close my beauty drawers. I am lucky to receive a number of products throughout the year and also adding to my collection with a Boots haul every month. My beauty collection is just getting out of hand. 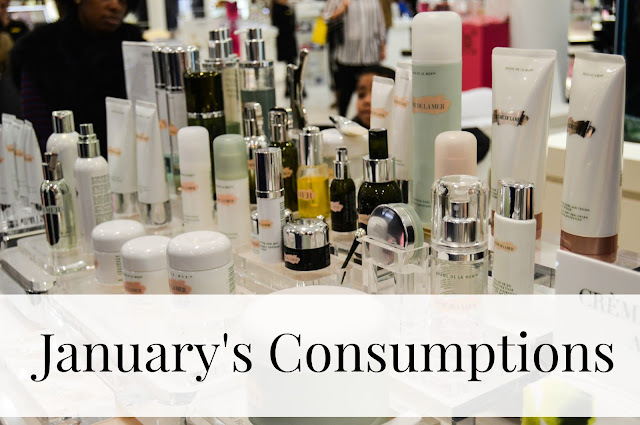 As a little bet to myself, I want to aim to 'consume' between 100-150 products this year, this isn't me being greedy - it's kind of like Project Pan. Products that are near expiration are the first to try and use up, then items which are less than half full. I'm also going to be making notes on whether I liked the products I managed to finish and whether I would repurchase them. I'll also be having clear out throughout the year, I have a habit of holding on to things that didn't work for me or things I like that are past their expiration dates. These will also be added to the list and a reason noted why I threw it away. I will not be keeping the empty packaging as I use things up as I am limited to space. So what did I manage to finish in January? The only brow product I will use religiously, I already have repurchased. If you have been following my Roaccutane journey, you will know that this is the only product that keeps my skin hydrated and stops it from itching. I have already repurchased, can't live without it at the moment. This was included in the Lily and Anna Box from Cult Beauty last year. I enjoyed using this, as it turned from a gel to an oil, so it felt nourishing on the skin. Since using this up I have switched to the Elemis Pro-Collagen Cleansing Balm, but I would repurchase this in future. Roaccutane has given me extremely dry eyes so this is heavenly to use. It's a nourishing cream which keeps dehydrated eyes looking perky. I have already repurchased. I feel that spray deodorants don't work at preventing me from sweating but this roll on does. It's worth the £5 price tag. I have already repurchased. I bought this while in Barcelona, so this must have been nearly 2 years old. It was incredibly handy for travel so if I go to a Sephora again I will pick one up. This is my favourite scent from Yankee Candle, it's a soft cotton smell, which is so relaxing. I had the large jar and it had lasted me so long. I have already repurchased. Some backcombing sprays are very sticky and leave your hair feeling greasy. This one is a mixture of a hairspray and a dry shampoo so it's wonderfully light. I would repurchase this again, once I have used other haircare items up. This didn't give off a strong scent, so will not be repurchasing. I'm not sure if this company is still operating. This was part of a blogger care package from them. I liked the scent, but I have lots of candles at the moment so wouldn't repurchase. So in the month of January, I used up 10 items! I plan to have a clear out during February so that list will hopefully be longer! I have some wonderful news to share with you guys! I'm a Skin Chemists Ambassador for 2017! This means I’ll be reviewing a product from their collection each month, giving honest feedback, as well as a discount code for my readers. 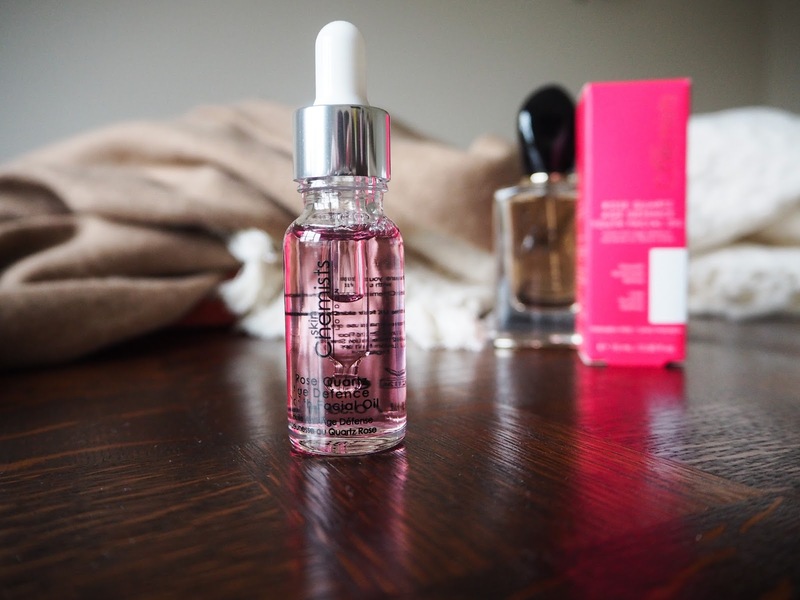 February’s range of the month for Skin Chemists is Rose Quartz; I couldn’t wait to try their Rose Quartz Age Defence Youth Facial Oil from the collection. I use oils in my night time routine nearly every night, but until recently I didn’t realise you were meant to put moisturiser on AFTER the oil! Luckily this product fitted well into my skincare routine, after my Advanced Night Repair Serum and before my Cetaphil Rich Lotion. I noticed after a few nights of using the Youth Facial Oil that my skin looked my plump, as if my skin had drank the product up and it had replenished the skin. This product has become a must if my skin looks tired and haggard from a late night. 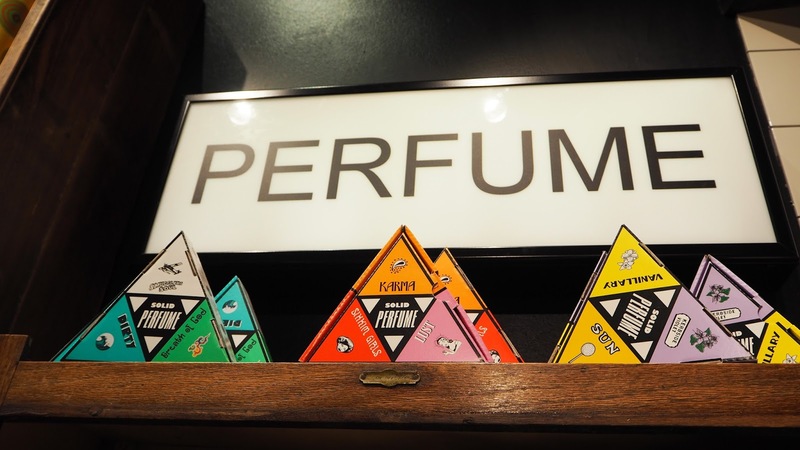 There is a subtle rose scent to the product, which makes it feel very luxurious. The formula is lightweight and isn’t too thick on the skin when applied. Plus the pipette packaging makes for easy and controlled application. The ingredients are targeted to help smooth, illuminate and refine the skin. 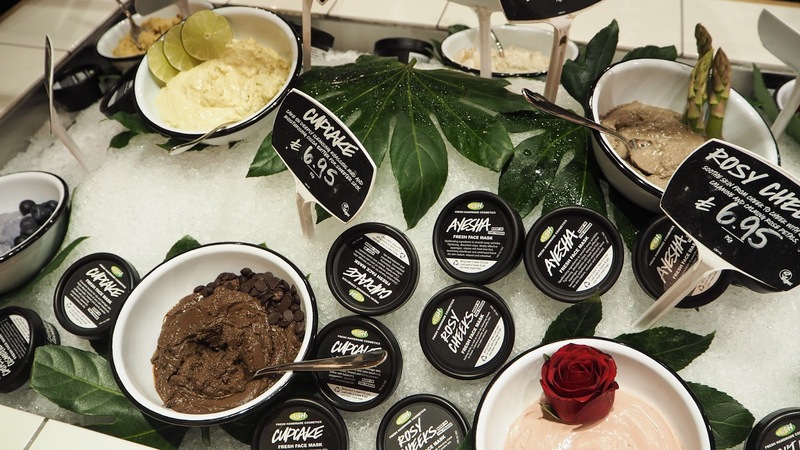 Rose Otto aims to restore the balance of the skin, but it is also anit-bacterial and has anti-oxidants, Vitamin E is a popular skin care ingredient as it's amazing at soothing damaged skin. The last key ingredient is almond oil, this is incredible at nourishing and renewing the skin. I think this product is a dupe for the Trilogy Rosehip Oil, it's similar in consistency but also the results! Therefore, I would recommend this to all skin types, yes even oily skin, as the rose otto balances the oil production. The Rose Quartz range also includes a Brightening and Lifting Serum ad Day Moisturiser, an Anti-Aging Moisturiser and Night Moisturiser, plus a Radiance Eye Cream and Lip Plump. If you wanted to get your hands on the Youth Facial Oil or any of the other Rose Quartz products, you can receive 20% off on the sale prices using the code CHERRIESBLOG. This makes the £99 value oil only £19.99! 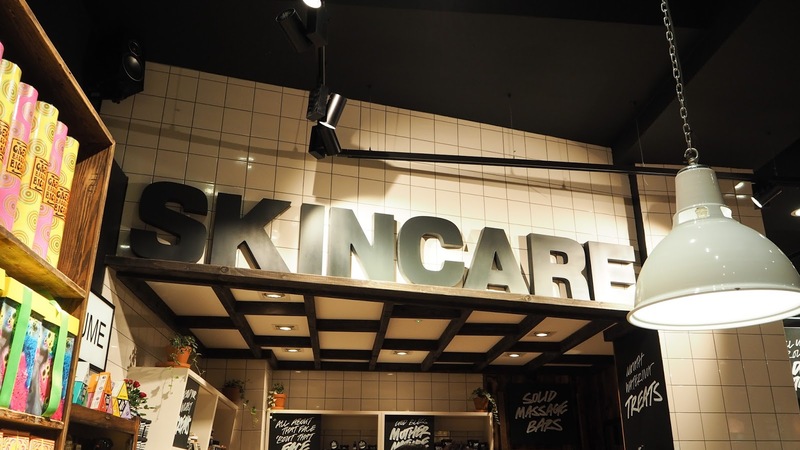 Check back next month for a new Skin Chemists product review! *PR samples and affiliate code.